Halal is a key growing sector of international trade, say experts at Mediterranean Week of Economic Leaders conference. Political and business leaders attending a Mediterranean economic conference in Barcelona Friday touted the huge potential of the halal food market, saying it has the capacity to significantly boost economies in the region. Mediterranean leaders said food giants like Nestle have been ramping up their investments and expertise in halal foods – the Muslim analogue to Jewish kosher products – targeting a Muslim population that is forecast to add a billion people by 2050, along with rising income levels. According to DinarStandard, a New York-based research firm, halal food will grow into a $1.6 trillion industry, representing almost 17 percent of the total global expenditure in food and beverages by 2018, from about $1 trillion in 2012. The halal industry is an integral part of the social economy which enables social progress, Isabel Romero, head of the Halal Institute, told delegates at the conference. “We believe that halal is a holistic and global concept and it affects everybody. It means something that allows us to live better in a healthy and respectful way,” she said. Romero stressed that halal goods are a key sector in international trade. “You might think that halal foods are only targeting people who are Muslims. But in Spain, over 30 percent of consumers of halal products aren’t Muslims,” she said. 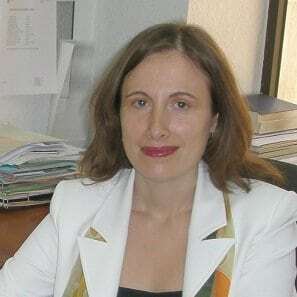 Ana Isabel Gonzalez Santamaria, professor at the ESIC Business & Marketing School in Seville, had several suggestions to better promote halal food. “Encouraging research cooperation, giving SMEs financial support, and boosting the awareness of professionals, industries, and the media will help the halal food sector increase its share of the global food market,” Santamaria said. “The halal market includes not only food products and food services, but also pharmaceuticals, cosmetics, personal care products, and banking. For example large numbers of consumers in Turkey and Saudi Arabia are demanding halal cosmetics,” Mohamed Geraldez, CEO of Fajr Foods, said. “Halal products are gaining wider recognition not only due to meeting Islamic law requirements, but also for hygiene, sanitation, and safety aspects,” Geraldez said. “There are a lot of steps that need to be taken to address demand in the halal industry. Internationally accepted certification is the first step. Let consumers know what halal products are. If you have great products, you can sell to a non-Muslim population too,” said Haroon Latif, director of strategic insights at DinarStandard. Other leaders in the conference said there is a growing demand for halal products and services from restaurants, hotels and other businesses. Companies have to adapt their products and services to the needs of their Muslim customers in the region, they concluded.